Procter & Gamble Hygiene and Health Care Ltd, Castrol India Ltd, Suprajit Engineering Ltd, Hexaware Technologies Ltd are among the other stocks to see a surge in volumes on BSE today, 04 May 2018. 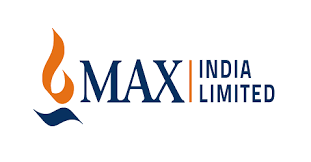 Max India Ltd witnessed volume of 23.06 lakh shares by 10:43 IST on BSE, a 64.77 times surge over two-week average daily volume of 35600 shares. The stock increased 0.43% to Rs.81.70. Volumes stood at 9376 shares in the last session. Procter & Gamble Hygiene and Health Care Ltd recorded volume of 6249 shares by 10:43 IST on BSE, a 17.19 times surge over two-week average daily volume of 364 shares.  The stock gained 1.20% to Rs.9,712.00. Volumes stood at 165 shares in the last session. Castrol India Ltd saw volume of 4.81 lakh shares by 10:43 IST on BSE, a 6.25 fold spurt over two-week average daily volume of 76942 shares. The stock dropped 5.46% to Rs.184.35. Volumes stood at 90999 shares in the last session. Suprajit Engineering Ltd saw volume of 6185 shares by 10:43 IST on BSE, a 4.3 fold spurt over two-week average daily volume of 1438 shares. The stock increased 3.13% to Rs.285.00. Volumes stood at 656 shares in the last session. Hexaware Technologies Ltd recorded volume of 4.08 lakh shares by 10:43 IST on BSE, a 3.91 times surge over two-week average daily volume of 1.04 lakh shares. The stock lost 11.45% to Rs.399.60. Volumes stood at 1.27 lakh shares in the last session.